Repainting is an excellent way to spruce up your home. Whether you plan to hire a professional, or tackle the job yourself, applying a fresh coat of paint can be an ideal starter project. Repainting can help your home look its best. 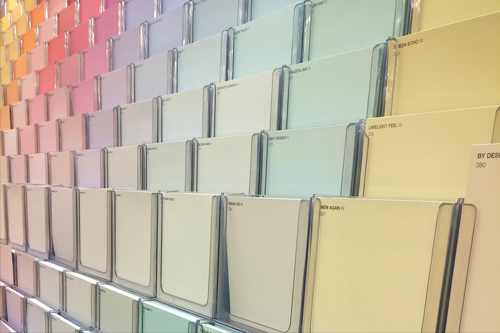 When selecting a paint color, remember to ask yourself what would appeal to the largest number of potential buyers. Neutral colors are almost always a safe bet. In a recent survey conducted by Sherwin-Williams, nearly 40% of respondents said they would like to incorporate warmer neutral tones, such as warm grays, taupes, or beiges into their home interiors. In fact, Sherwin-Williams has selected “Poised Taupe” as the 2017 color of the year. Avoid overly saturated hues. Although crimson red may be your favorite color, neutral paint colors will likely appeal to more buyers. In general, the glossier the sheen, the shinier the paint will look when it dries. Selecting paint with a glossy sheen can help a room appear brighter, but it may cause imperfections in the walls to stand out. On the other hand, a matte sheen will result in a smooth elegant finish that can make surface imperfections less noticeable. Keep in mind, however, that matte finishes are more difficult to clean. Rather than scrubbing a matte finish, it’s easier to paint over any blemishes that may occur. For simpler cleanup, select a glossy finish. Glossier finishes are ideal for high-traffic areas such as kitchens and bathrooms. Also, glossy finishes are often applied to trim. To really make trim stand out, select a sheen that is 2 steps glossier than the sheen selected for the wall. Tip: Allow enough time for the new paint smell to air out before showing your home. 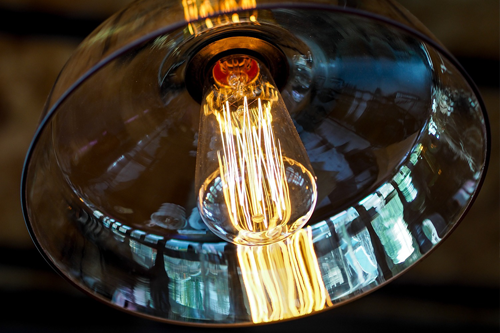 The soft glow of this antique-style bulb adds warmth to the room’s ambiance. 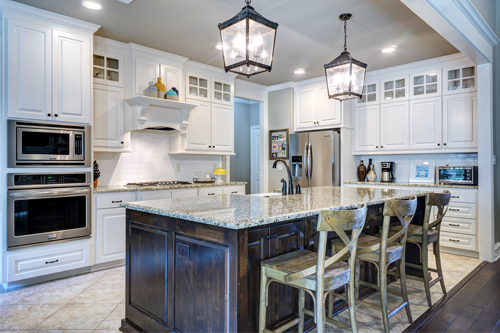 A couple of points to consider about lights and fixtures are style and output. You have many options! Regarding style, it’s difficult to go wrong with simple. Do some research and select fixtures that fit with the architecture of your home for a cohesive look, or mix and match styles for a more eclectic appearance. When considering the output of bulbs and fixtures, think of the lighting needs in the rooms where they will be installed. For example, kitchens are an area where abundant light may be very desirable. In contrast, a subdued amount of light may work better in rooms where people intend to relax such as bedrooms. Never install bulbs that exceed the wattage rating of your fixtures. Bright light, supplied by a combination of recessed and pendant fixtures, creates an inviting atmosphere in this kitchen. Safety is important! Although swapping light fixtures is a relatively small job, you should contact a licensed electrician if you are unfamiliar with electrical safety procedures or local codes. Remember that carelessness can result in personal injury or damage to your home. It’s always best to take the proper steps and avoid cutting corners. We recommend seeking the advice of a professional. Tip: When showing your home, turn the light fixtures on to create a welcoming environment. According to HGTV’s Top 15 Home Updates That Pay Off, a minor bathroom remodel provided the highest average return on investment to homeowners at 102%. A modern bathroom featuring simple design, neutral colors, and recessed light fixtures. 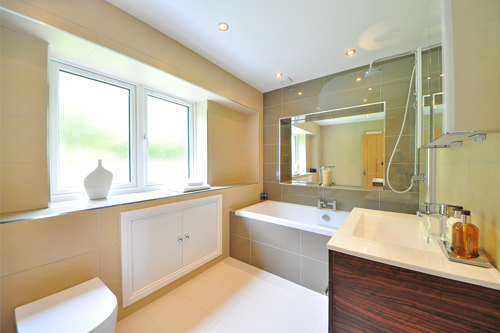 HGTV’s article explains that homeowners can expect to invest around $10,500 in replacing the tub, tile, toilet, sink, and fixtures in a bathroom. Because each project is unique, actual costs will vary. Seek the advice of a professional before beginning any remodeling projects. Contacting a professional will help ensure your project is completed properly. If your timeline or budget won’t allow for a remodel, consider having your existing tub refinished. 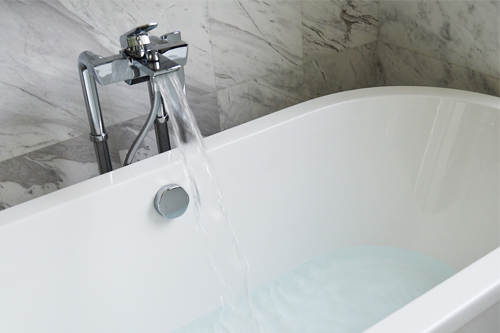 Refinishing can make your old tub look new again. This low-cost project has a much quicker turnaround time than remodeling. Most refinishing projects can be completed within a day. 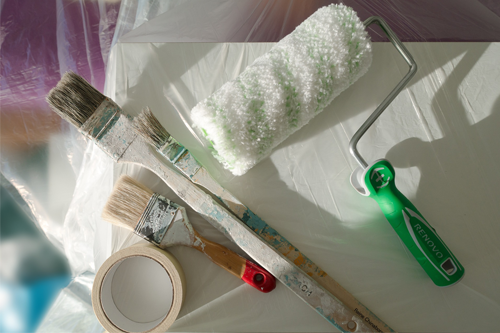 Homeowners can expect to invest approximately $300-$600 in a professional refinishing job. Tip: Fix plumbing issues before beginning a refinishing project. A leaky faucet won’t allow the new finish to cure properly. The phrase “a little bit can go a long way” applies to interior updates and selling your home. If you find yourself wondering where to start, remember to consider the perspective of future buyers. Try to make decisions that will appeal to the largest amount of people. It’s tough to go wrong with neutral, clean, and simple. Fill out our seller’s form to connect with one of our agents and get all of your real estate questions answered. Selling your home can be easy. Let our experienced staff help you make it happen.